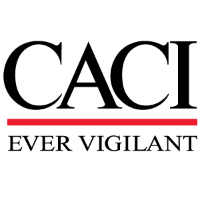 CACI has an immediate opening for a Senior Structural Engineer to support submarine related Engineering and Planning efforts at the Portsmouth Naval Shipyard (PNS) in Kittery, Maine. Administer all aspects of assigned tasks. Serve as the contractor’s point of contact with the Government on certain engineering tasks. A minimum of fifteen (15) years practical experience at a professional level, in responsible engineering duties relative to design, maintenance, operations, repair and testing of undersea systems across the Structural Engineering discipline. Engineering support of hydrodynamic design and analysis. Whole vehicle analysis for weight, volume, stability. The ability to integrate Engineering Change Proposals. Performing complex engineering calculations such as heat transfer, fluid flow, piping stress, mechanical stress, vehicle weight & stability, vehicle performance, etc.